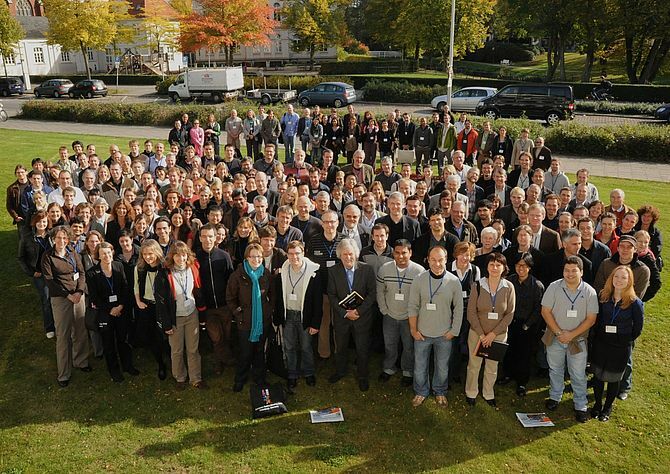 The European Retina Meeting 2009 (ERM 2009) was held in Oldenburg, Germany, from October 8-10, 2009. 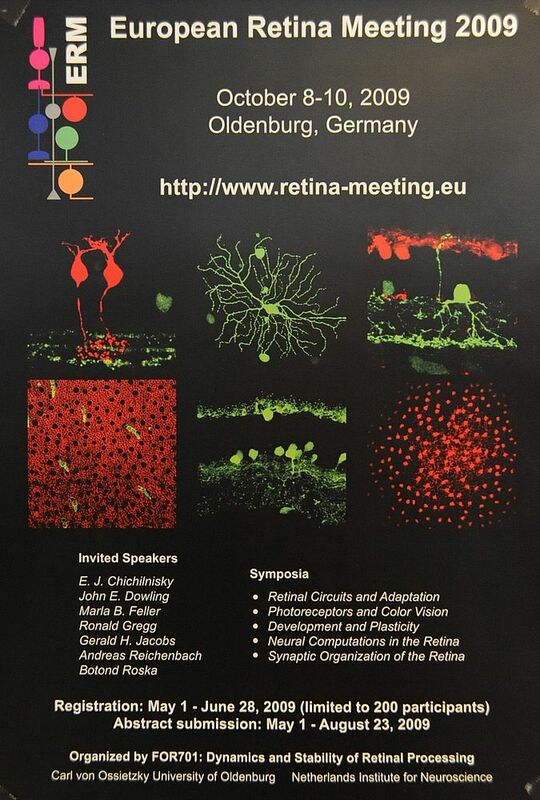 The response to it was overwhelming: more than 200 retina specialists from Europe and overseas participated in the meeting. 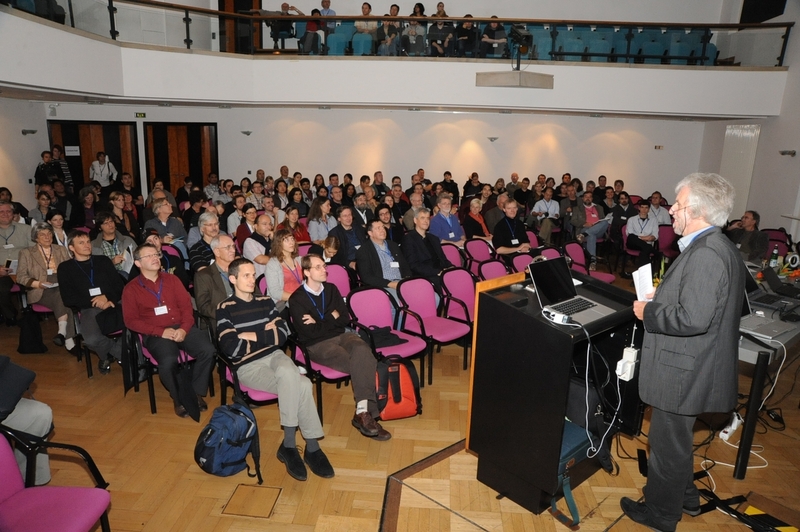 Like the first meeting held two years ago, the ERM 2009 focused on early visual processing in the vertebrate retina, including anatomical, physiological and modeling approaches. 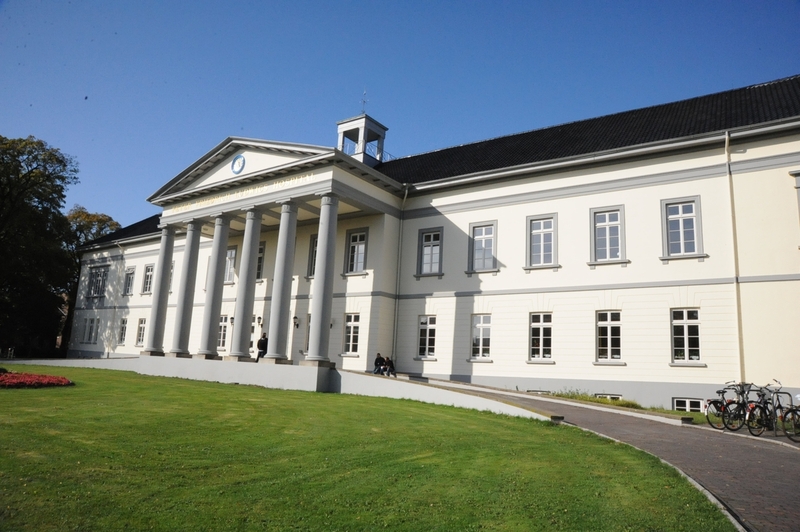 The meeting was organized by the DFG-supported Research Unit “Dynamics and Stability of Retinal Processing” and comprised poster presentations, five symposia and two special lectures. 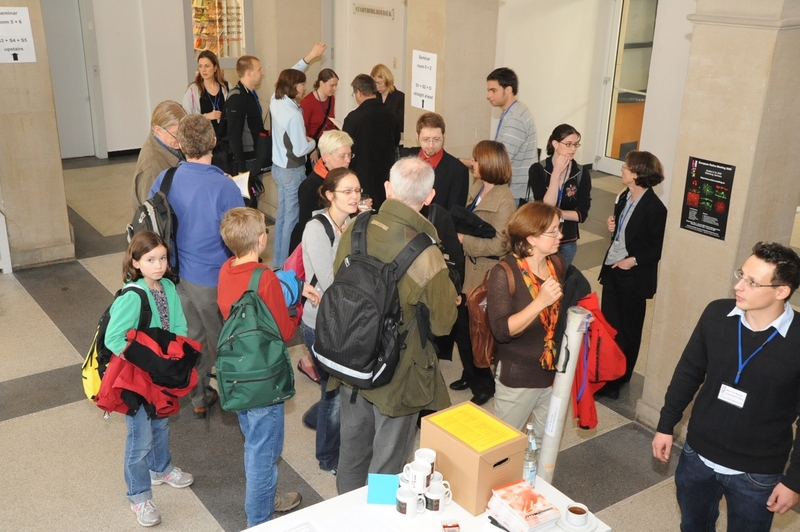 For each symposium, one outstanding scientist gave a keynote lecture and additional speakers were selected from submitted abstracts. 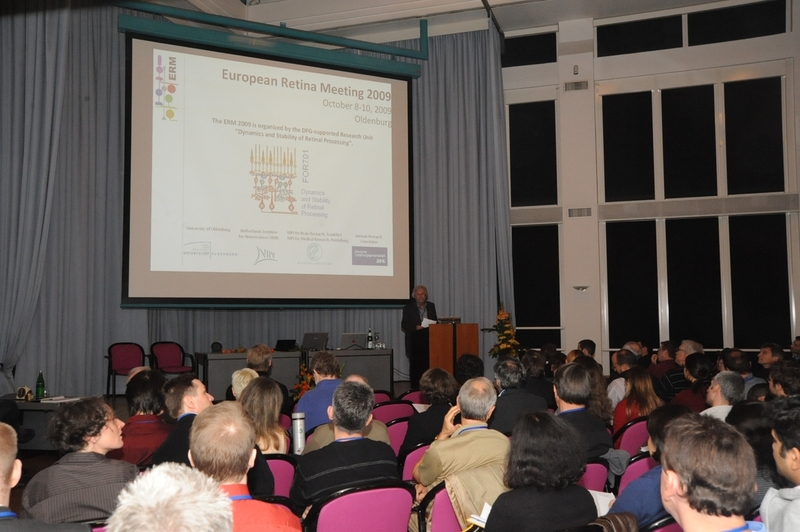 The ERM 2009 provided an excellent platform to facilitate a wider exchange of ideas and concepts between retina specialists and invoked stimulating discussions about the complex mechanisms that underlie retinal processing.